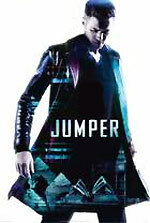 Confusion reigns about Twentieth Century Fox's DVD and Blu-ray release of recent science-fiction hit Jumper, at least, as far as the etailers are concerned. Plans for separate one and two-disc sets seem to have been shelved (but most etailers are still listing both). The official press release says there'll only be a single-disc edition (but with substantial bonus content). Also, some of the etailers are listing the Blu-ray version as having a higher RRP than it has (officially it's £24.99). This has a knock-on effect, meaning that if you order it now, you might not get the benefit of a price adjustment later. There's a new DVD review on the site! Matt West has reviewed the Mysterious Cities of Gold DVD box set (which is currently only available from HMV). You can find the review here. Ceri's review of the Goon Show Compendium - Volume One CD box set has been amended, in light of additional background information. You can check out the review here.